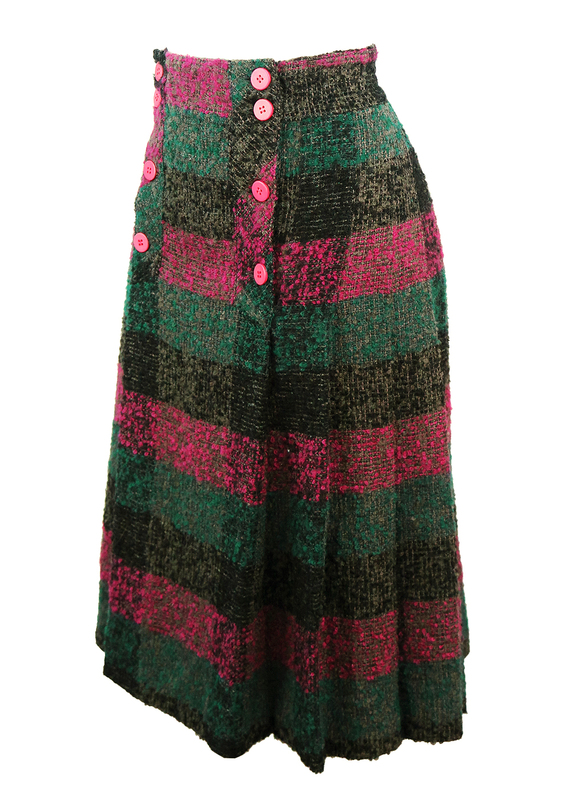 Textured 80% wool skirt with a check pattern in vibrant colourways of fuchsia pink, turquoise and black with grey mottling throughout. 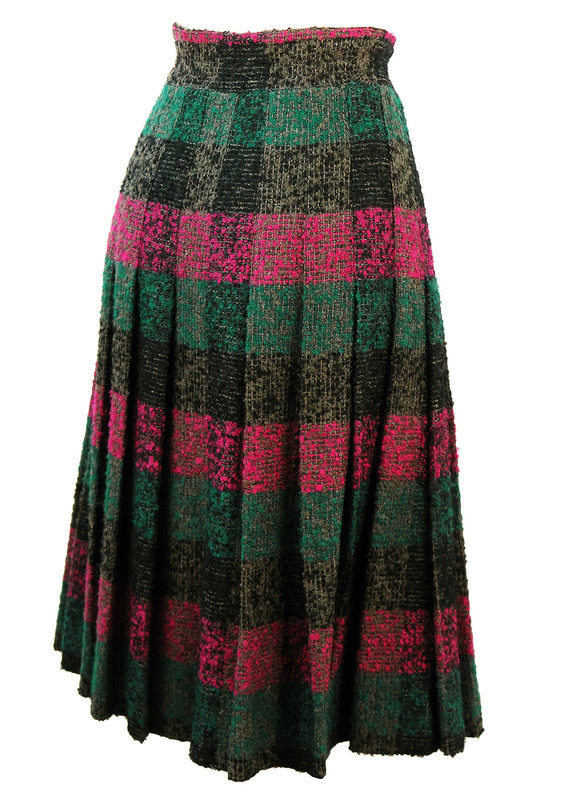 The skirt has a flattering cut by being flat fronted with pleat detail at the sides and back of the skirt. 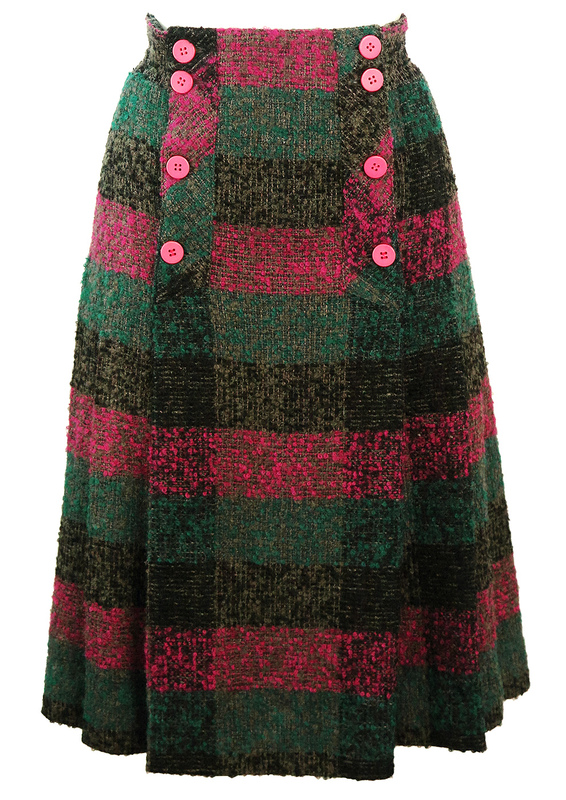 Additional design touches include two rows of pink buttons at the waistband. 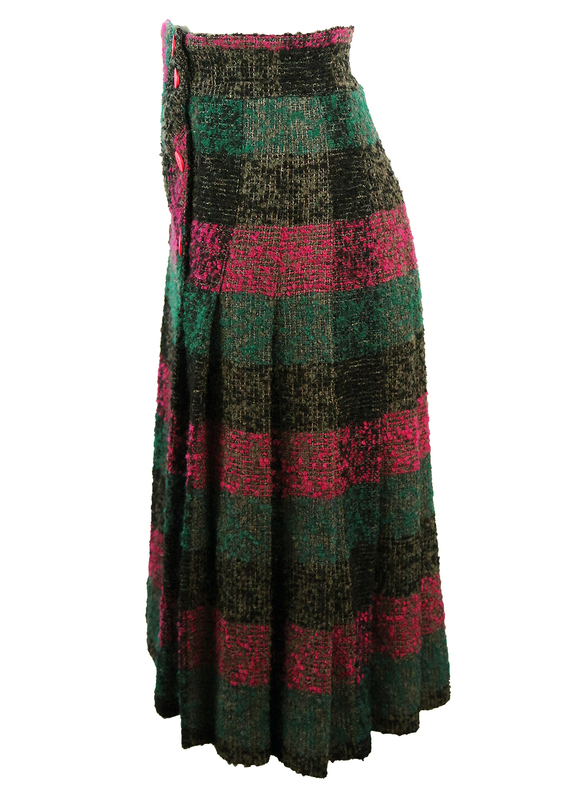 The skirt is fully lined and is midi length. The sizing label is an Italian 46 which we have equated to between a size S/M depending on your waist and hip size. Please refer to our measurements for further sizing guidance.